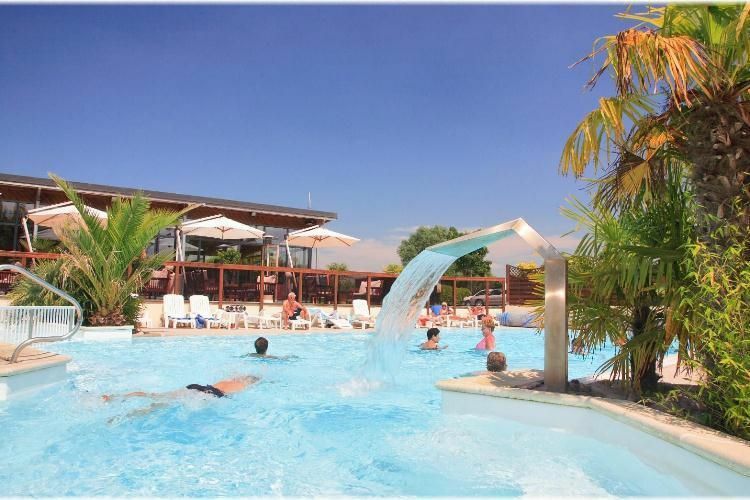 For the perfect getaway this summer, come to Normandy and stay at the Haliotis campsite in Pontorson. Sit back and relax for a holiday filled with fun, laughter and discoveries. Idealy located alongside a river, it is also situated close to many tourist tistes such as the famous Mont-Saint-Michel (9 km away) and Dol-de-Bretagne (20 km away). Forget your worries and the hustle and bustle of daily life and treat yourself to a relaxing session in the spa. Go fishing along the riverbank, take a dip in the on-site pool, try out the sauna or simply lounge around and work on that perfect holiday tan. On-site, find everything you need for a comfortable and unforgettable holiday. During your break, take part in numerous on-site activities and entertainment such as aqua aerobics, barbecue evenings and much more. Walkers and cyclists can explore this beautiful region, wonderful landscapes and undisturbed natural surroundings. Don't miss out on a visit to Mont-Saint-Michel, one of the top tourist attractions in France! At the entrance to Mont-Saint-Michel, on the banks of the river Couesnon, Pontorson is the very essence of tranquility. As you step onto this "must see" famous Mount, the town offers the chance to explore this prestigious site in an alternative way other than by car or on foot. Instead, you can take a tour like the pilgrims did, either cycling, going by horse-drawn carriage or by boat. The "Wonders of the West", as its known, comes up above the sands while the sea persistently rises up again. The natural surroundings are truly magical. Founded in 708, Mont-Saint-Michel is home to the current abbey since the year 1000 and perches 80 meters high. Visit the cloister, the refectory and the Knights room, then walk along the only street in the village, famous for M?re Poulard's omelettes and pre-salted lamb raised on the polders in the bay. 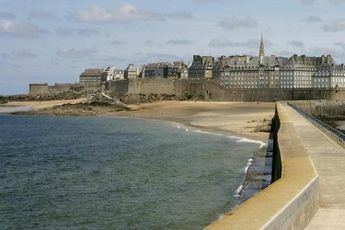 You'll also enjoy the entire bay coast from Saint Malo to Dinard. It's really worth visiting Cancale, famous for its oysters and port, before reaching the wetlands that run up to Dinan. This ancient city has been beautifully conserved. It's also one of the most well known towns for art in the west of France. If you have the urge, you can push on further into Brittany, unless you prefer to explore the Atlantic coast to the north, via Granville. This seaside town remains the main port on the west coast for the Cotentin peninsula. The citadel, built on a rock, is well worth a visit for its historic centre, before walking down to the lower town. The museum holds a collection for furniture, pottery and other collections dedicated to the Navy. Further north, the Cotentin marshes protect a nature reserve which has many channel, attracting a host of migrating birds. The towns of Coutances and, further on, Saint Lo, are typical of the Channel. You could also explore the island of Jersey, (it's worth taking note of the crossing time) This is the largest Channel island, neither French nor English, but with its own special status where you can visit the Mont Orgueil chateau at Gorey.